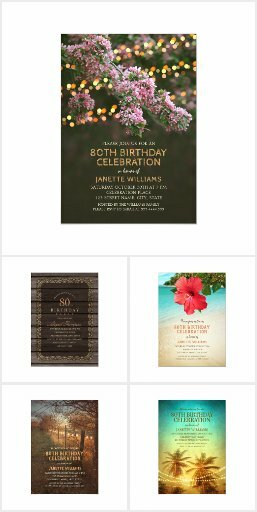 Rustic Mason Jar 80th Birthday Party Invitations – Vintage Country Cards. Best rustic country birthday party invitations. Feature a creative mason jar illustration on a modern striped brown background. If desired, you can easily change background color. Great for any birthday party – 16th, 20th, 30th, 40th, 60th, 50th, etc. A cool invitation perfect for rustic country themed, or other birthday parties. This creative mason jar birthday party invitation is fully customized. Just add your celebration details.